One of my all time most popular posts went up at the very beginning of May and was my Asking For Beauty Samples feature, which gave you some tips on how to get a foundation/concealer sample according to my experience. Again on the beauty front I also shared my thoughts on the Tangle Teezer, written down a list of my combination skin heroes, had a tour inside my handbag and my on-the-go skincare staples, and took my first skincare diary. Not to mention the monthly beauty favourites are back and you can check out what I loved the last month here. I had a really fun time baking and cooking this past month and one of my favorite thing to bake has to be my Lava Cake for two which is such a lovely dessert, but I also enjoyed sharing my super yummy Non-Dairy Tofu No-Meat Meatballs. Something a bit different was sharing a video for the first time here on the blog on my Whole-Wheat Pizza Muffins recipe which combines pizza and muffins together so you need to check it out if you didn’t already! 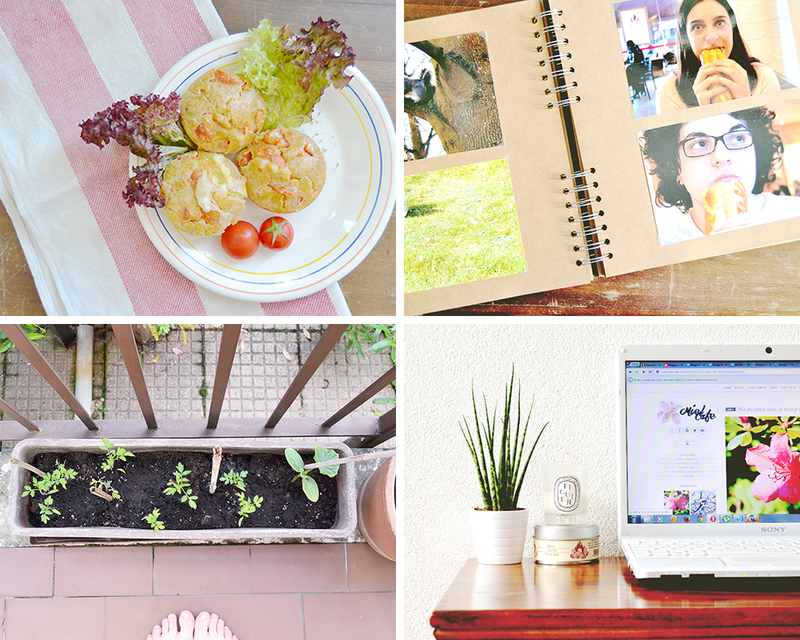 I wrote down my first Life Snippets post in May and I really need to start sharing more posts like this in June, but for the rest two of the most exciting posts to write were my Gardening feature and my Relationship Memories Album post where I shared two super cute hobbies of mine. My all time most popular post was about my Be a Safer Blogger tips I’ve learned from the unlucky experience my blog had this most of being deleted by someone and being rebuilt from scratch by me. As you can imagine, seeing your blog being deleted was a pretty unlucky and tough experience, but I’m over it now and am super excited about what June will bring me and my blog. So hopefully this fresh new start will only bring beautiful and exciting news in the upcoming future. What were you up to in May? That is so horrible about your account being hacked, I would be devastated if I lost my google account! I hope that June is much more lucky for you 🙂 Good luck!